"What if we can’t do it?" "What if we can’t handle more kids?" "What if we get attached and they go home?" These are all very real questions and many families struggle answering them...We can guide you. The children we see in foster care have come from hard places. Many suffering from neglect and abuse. You could be the family who is able to let them feel safe, loved, and give them hope! 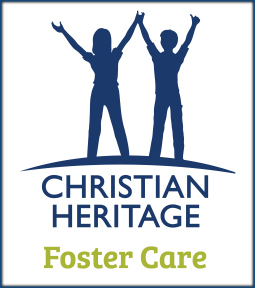 We offer multiple foster parent training classes throughout the year hosted by a variety of churches in Lincoln, Omaha, and Kearney area. Our training professionals will equip you with the tools necessary to understand attachment, trauma, and the behaviors that may result. Each class will dive deeper and deeper into understanding the foster care process. All this will help you determine if foster care is right for you. There’s no financial cost to attend the training, but there is a time investment. We want to make sure you are prepared for what God may be calling you to do. Even after initial training, we provide opportunities for foster parent support and ongoing training. When a child is placed into your home, we can help guide you anytime, day or night, if you have questions. Is God calling you to be bold in your faith? If so, please request more information so we can learn about your family and answer all of your questions.